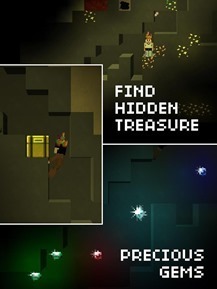 Do you like Minecraft, but feel that its pixelated style isn't retro enough? Then publisher Noodlecake is happy to oblige by turning the open-world, construction-oriented first-person action game into an open-world, construction-oriented platforming game. 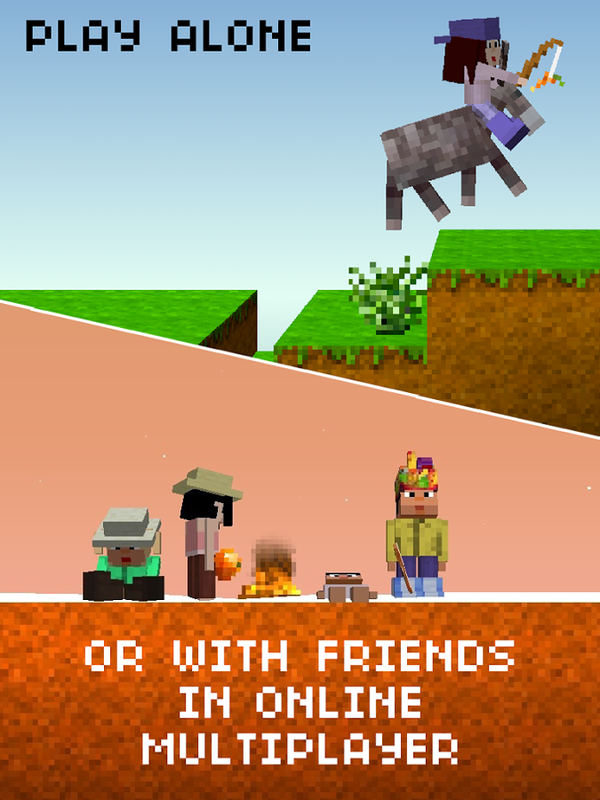 The Blockheads just landed in the Google Play Store after earning more than a few fans on iOS over the last ten months. 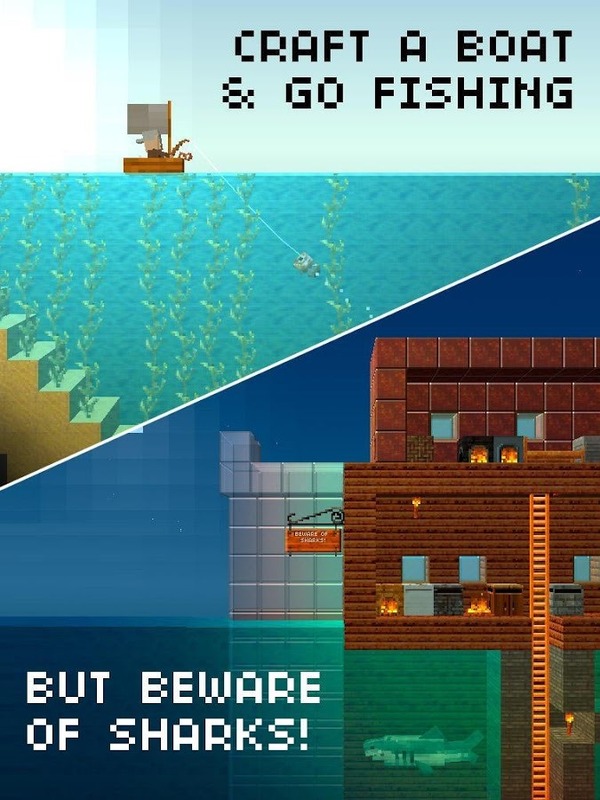 There's really no getting around it: Blockheads is a pretty shameless copy of Minecraft, with adjustments to perspective and gameplay to make it easier on mobile players. 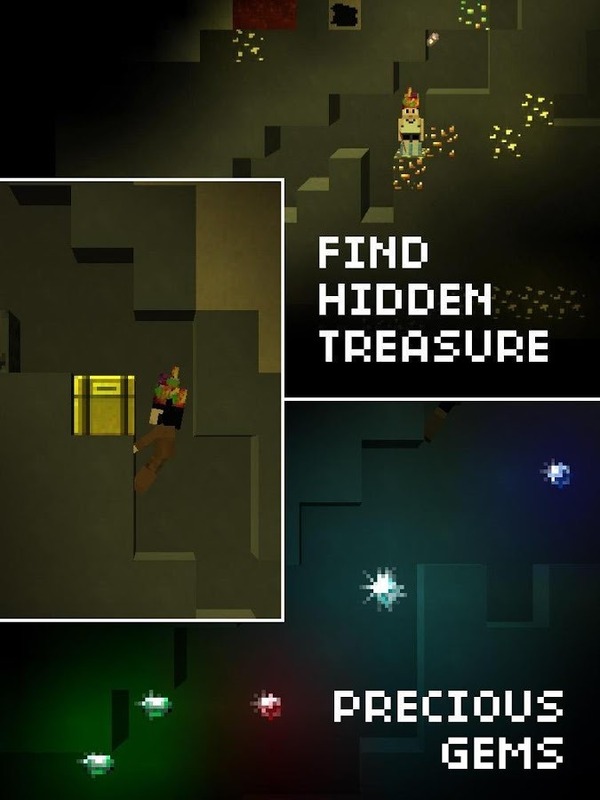 But that doesn't make it bad - a side-scrolling platformer makes a lot more sense on a touchscreen than a first-person game. 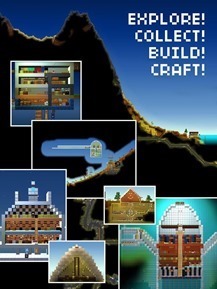 All the basic elements from this rapidly-growing mini genre are present: resource gathering, Lego-style construction and excavation, and basic combination of materials to make new stuff (that's where the "craft" comes in). The 2D nature of the game means that it's a lot easier to get around the open-ended environments, but vehicles and horses donkeys can let you move even faster. But wait, there's more! 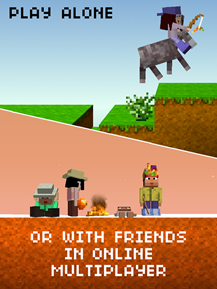 The Blockheads can access public multiplayer servers for some collaborative construction action. 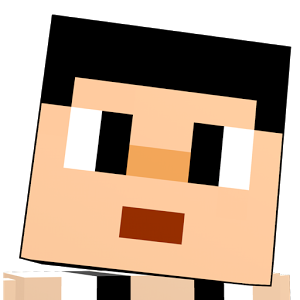 Or you can log into some random server and totally ruin the day of little Billy Wazowski from Chicago, which seems to be about half of what happens in the multiplayer version of the full-sized Minecraft anyway. You should be able to download and run the server from a desktop computer. Looking for more crafty goodness? 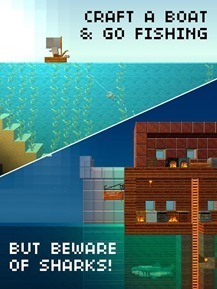 Then check out Terraria. 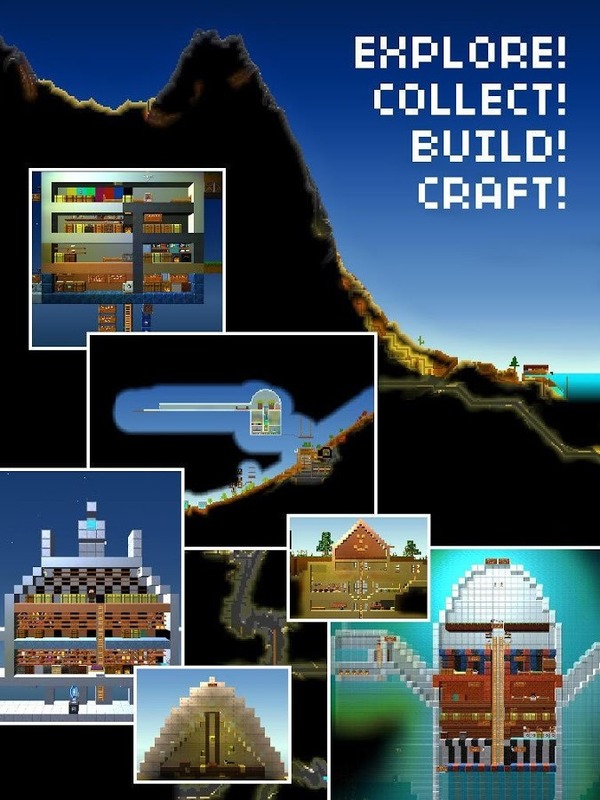 Or, you know, the Android version of Minecraft.